Minimizing the "Elephant in the Room"
I've found that all these issues can be overcome with a clear direction and a good plan. However, the most common objections to migration revolves around time and cost. How long will production be down? Where will the funding come from? What is the return on investment? For these reasons many automation migration projects are pushed out for future consideration. Obsolescence never seems to be a good enough reason to start the migration process. That's why it's important to understand the difference between migration and Modernization. Additionally, Modernization will streamline the collection of machine data that allows you to conduct advanced business analytics. It's for these reasons we more accurately describe the transition of legacy controls to modern automation systems as Modernization. Where should you begin when starting a Modernization project? On the surface the overall project looks like a huge undertaking. Especially when considering the pre-conditions I listed above. So here is where we circle back to the covered wagons. I read a book called "The Oregon Trail" and came across the phrase "seeing the elephant". It was a term the pioneers used when they were first heading out. I took this phrase as a modernization context; it's the enormity of how I will get from here (legacy equipment) to there (Modernization). Modernization does not have to be done all at once. Like all tasks, it can be broken down into bite size pieces that can easily be put together to provide a complete modern system. Revere Electric can lead you down the path of Modernization by conducting a walkthrough of your production line. 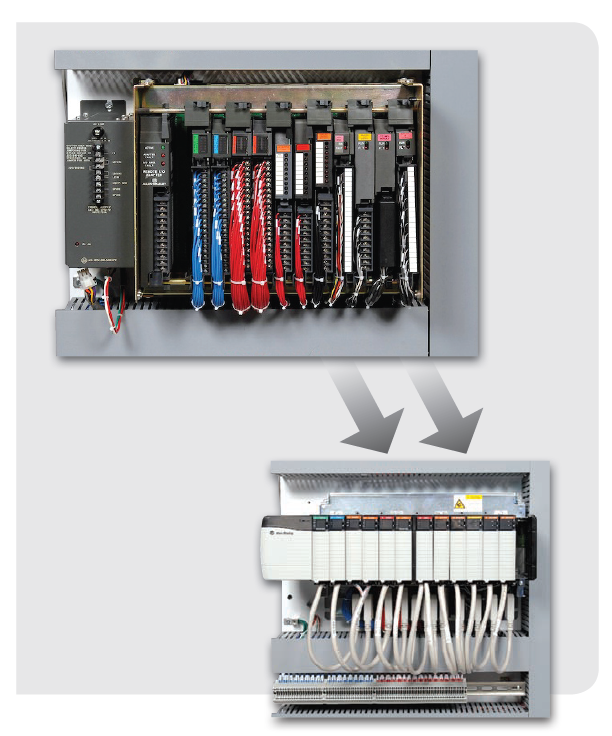 Our trained specialists can identify risks within your control systems and suggest ways to improve your processes. Interested in learning more? Contact your account manager or contact as via email @ modernization@revereelectric.com. And if you are not sure if you are ready to get us involved, below are some resources, tools, and websites that can jump start your modernization project... and hopefully, reduce the size of the elephant.